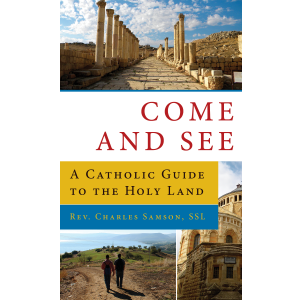 Genesis to Jesus is free this Lent! Sign up now to be notified as soon as lessons are available. The first two verses of Genesis tell us that God brought the entire world into existence at the dawn of history. But he not only creates the world, he forges a covenant with the world. We hear of this in later passages such as Jeremiah 33:25, where the prophet speaks of the Lord’s “covenant with day and night.” God did not create the human family because he was lonely. God himself, being Father, Son, and Spirit, is already a family. He created us in order to draw us into his divine family. Many people like to drag the creation accounts in Genesis into a “religion versus science” debate. But this is to miss the point of their message. Genesis 1 was written to tell us why God created the world, not how he went about it. Creation is the act of a loving God who made us for himself. The Catholic Church does not require us to hold either that God fashioned the world in a succession of six twenty-four hour days or to believe in the theory of evolution. What we must believe is that God created the world out of nothing and that he created the first human couple in a state of original innocence and justice before they fell from his grace through sin. 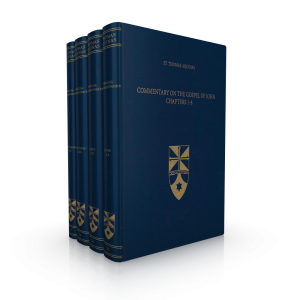 Genesis describes the work of creation in terms of divine speech. Each time God says, “let there be,” new realities burst into existence. When God speaks his powerful word, things happen. In the New Testament, we discover that God’s word is more than a power—it’s a divine Person: God the Son! Jesus is the divine Word of God through whom all things were made (John 1:1–3; Heb 1:2). One of the keys to the creation account can be found in Genesis 1:2, which says that the world in the beginning was “without form and void.” God addresses this problem, first, by forming the world into distinct realms, and second, by filling the void with rulers. The work of each day is followed by God’s declaration that his work is “good” (Gen 1:4, 10, 18, 21, 25). But following the work of the sixth day, the day when man and woman are made, God declares that his creation is “very good” (Gen 1:31). 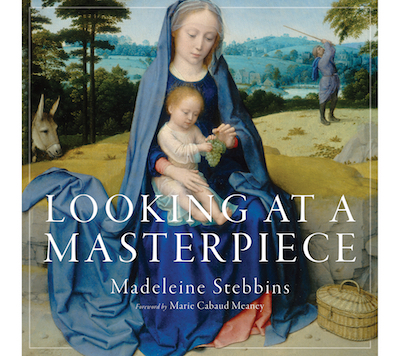 Moreover, we are told that man and woman are made in God’s “image and likeness” (Gen 1:26–27). What exactly does this mean? An important clue can be found in Genesis 5:1–3, which recounts how Adam was made in the image of God, but which goes on to say that Adam’s son, Seth, was made in the image and likeness of his father Adam. This implies that “image” and “likeness” designate sonship. Adam, bearing the image of his Creator, is thus described as “the son of God” (Luke 3:38). Following the work of creation in six days, God designates the seventh day as a day of rest (Gen 2:2). Initially this might strike us as odd. If God is infinitely powerful, why does he need to rest? Actually, he doesn’t. God is giving us something that we need. The Lord blesses and sanctifies the seventh day as a gift to man and woman. 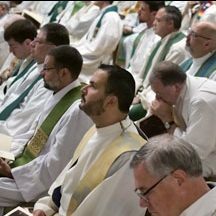 It is set apart as a holy day of rest from our work; it is a call for us to enter each week into a time of holy worship. The seventh day also seals the covenant that God makes with creation. And since covenants are made by swearing an oath, it is significant that the Hebrew word for swearing an oath is sheba [sheh-váh], which can be translated “to seven oneself.” The covenant with creation is thus revealed through the structure of the seven days. The seventh day, later called the Sabbath, is the sign of this covenant (see Exodus 31:16–17). The Sabbath, which is the climax of the creation account, signifies that God calls man and woman to something far more glorious than ruling creation. They have a higher calling: worshipping the Creator of it all. The world is designed as a place for worship in addition to work. It is a holy place—a sanctuary—where the Lord is present and where you and I can enjoy covenant communion with the living God. 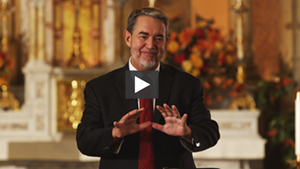 This vision of creation as a sanctuary is made more explicit in other passages of Scripture. When God describes the work of creation to Job, he describes it as the construction of a building (Job 38:4–11). When Solomon builds the Temple in Jerusalem, he mimics the original creation in seven days: he builds it in seven years, consecrates it in the seventh month of the year, inaugurates its services during a seven-day festival, and offers seven petitions on the occasion (1 Kings 6–8). Genesis 1 and 2 presents us with two accounts of creation. But these two accounts are not in conflict. Rather, they function as two complementary accounts that draw our attention to different things. For instance, Genesis 1 depicts God as the sovereign Creator fashioning the universe into a cosmic temple for his presence. Genesis 2, however, depicts God as a Father. He attends to the most intimate details of man’s creation and need for companionship. The depiction of Adam in Genesis 2 is that of a king, priest, and firstborn son. He appears as the high priest of the human family. In ancient Israel, the father or patriarch of a large family served as a priest and leader of worship on behalf of his household. This priestly prerogative passed to his firstborn son, who inherited his father’s authority and responsibilities. Adam assumed this role in the beginning as a royal firstborn son. Jesus, the new Adam, succeeds in this role where Adam failed and calls the Church to participate in his mission as a “royal priesthood” (1 Pet 2:9; cf. Rev 1:6). Finally, if Genesis 1 shows us that God established a covenant with creation, Genesis 2 shows us that God also created a covenant within creation. Man and woman are made for a covenant relationship with the Lord, and they are made for a covenant union with each other. The two are joined as husband and wife in the primordial covenant of marriage. On one level, God creates marriage to be a sign of his love for us. On another, he creates marriage to be a sign of his very Self. Marriage, which produces natural families, is an image of God’s inner life as a divine family. The communion of Persons in the Trinity is thus reflected in the human fathers, mothers, and children of the world. There are several things to keep in mind when we turn to the story of man’s temptation and fall. The Catechism tells us (1) that the biblical account of the Fall in Genesis 3 uses “figurative language” (2) that it affirms “a primeval event” that took place at the beginning of human history, and (3) that this inspired narrative “gives us the certainty of faith that the whole of human history is marked by the original fault freely committed by our first parents” (CCC 390). So the account in Genesis 3 is written more like poetry than a journalistic report, and yet it recounts an actual event—the original fault of Adam and Eve—that stains the rest of human history. Turning to this account, we note that God alerts Adam and Eve to a possible danger. Adam, we recall, was charged with keeping (i.e., guarding) the garden (Gen 2:15). This implies the existence of a threat, of someone or something that he must guard it from. Likewise, the Lord places a restriction on Adam’s freedom: he’s allowed to eat from any tree of the garden except one—the tree of the knowledge of good and evil. Finally, God issues a solemn warning to Adam: if he disobeys the divine command and chooses to eat from the forbidden tree, he will die that very day (Gen 2:17). For this warning to have any force or meaning, Adam must have understood something about death and found it dreadful. One last thing should be kept in mind as well. When the Lord breathes life into the first man, Adam, he gives him something special that is not given to the plants and animals around him (Gen 2:7). Adam is given the grace of divine sonship. He receives his natural life from God, yes; but he also receives supernatural life. This is a way of saying that Adam and Eve are created in a state of grace (CCC 375). It means that, before the Fall, they live in harmony with the Lord, with each other, and with the rest of creation. They are neither simple-minded nor inclined to sin. On the contrary, they are upright, intelligent, and united in fellowship with God. 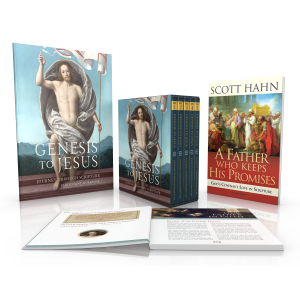 The Genesis to Jesus participant kit is the essential toolbox you need to begin your study of Sacred Scripture. 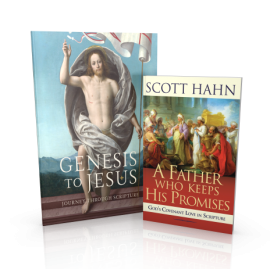 This kit not only includes the Participant Workbook, but also Dr. Scott Hahn’s bestselling book, A Father Who Keeps His Promises. 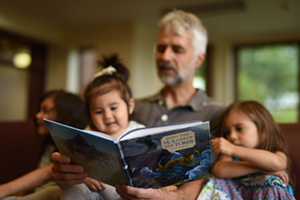 Along with the Bible and the Catechism, A Father Who Keeps His Promises is highly recommended to help you supplement the information in the workbook. If you already have A Father Who Keeps His Promises, the Participant Workbook is available separately. 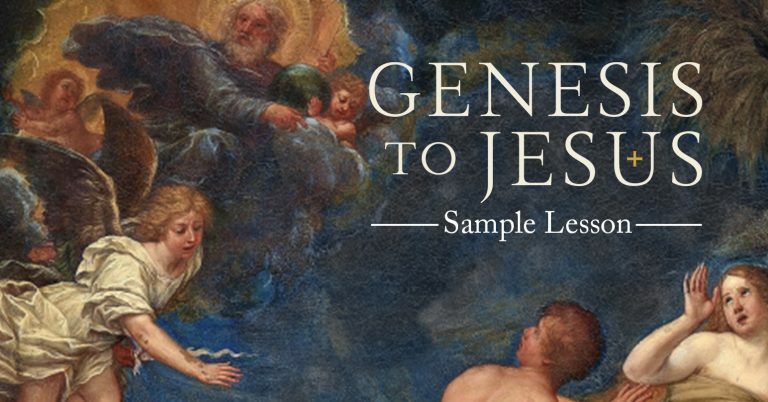 The Participant Workbook for Genesis to Jesus will serve as your companion for the duration of the series, helping you better retain what you’ve learned so that it can more easily be applied to your daily life.